Lady Gaga has CONFIRMED For Super Bowl Halftime Show: What Will She Perform, GagaINspace News and Gossip. So get your best poker faces ready, and no, not because of the game, or whatever, but because you won’t want to miss this epic performance. It has officially been confirmed after rumors kept us all on the edge of our seats over the past month when sources told Billboard that Mother Monster was in talks of taking up the 51st Super Bowl half time slot, and just yesterday, that space was finally filled by none other than Lady Gaga. The timing couldn’t be more perfect for Gaga, who’s currently promoting her 5th studio album, Joanne, after just releasing the first single from her album, “Perfect Illusion”, and not to mention, the album has many confirmed collabs on board, so one can only hope for a repeat of last year’s halftime show. Gaga is also no stranger to performing in front of the biggest audience of the year, as she sang the National Anthem during last year’s Super Bowl 50 pre-show, so maybe that was considered her audition, in which she clearly killed it. First off, we’re stoked about the new album and all, but your throwback hits like “Bad Romance,” “Just Dance”, “Poker Face” and even “Born This Way” have given us LIFE over the years, so please choose your songs wisely. Next, we know you know people in the business who’d love to perform with you, because the more the merrier. Hook us up with a few surprise collabs, and we’ll worship the ground you walk on, as if we don’t already. And finally: BE-YON-CE. Just saying. A “Telephone” or even a “Video Phone” performance seems logical considering Bey is a reigning Super Bowl alumn, and you have not one, but TWO collabs together. Trust us, we’ve thought long and hard about this. 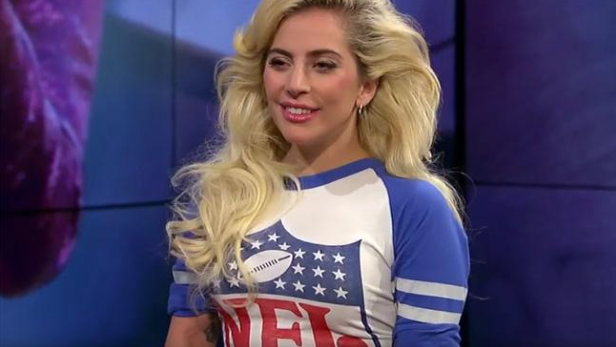 But now that you know what we’re dying to see come Gaga’s Super Bowl Half Time show debut slated for February 5, 2017, I’m curious to know all your thoughts on the good news and everything you’re dying to see, so get to talking right down here in the comments and after that, you can click right over here to see a few Nickelodeon Movies you may have forgotten about on Throwback. Thanks for hangin’ with me here on Clevver News, I’m your host Ryland Adams and have a monstrous weekend friends!